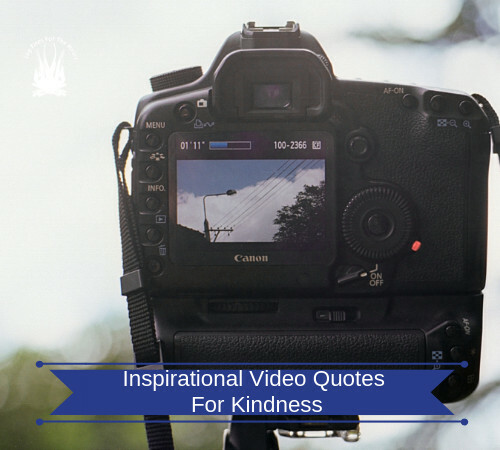 This video of an inspirational quote for kindness is from a lady, who I so admire. She practices what she preaches and her show brings heartwarming stories that remind you of the goodness in the world. I find the world is becoming, according to the news, a far harder place. I am trying not to believe this. This is why I started this site. As I keep repeating, try to be kind, to everyone that you meet, where ever possible. We are all fighting the hard daily battle called life. Ellen DeGeneres: She is an American television host, actress, producer, and LGBT activist who was born in Metairie, Louisiana. She starred in the popular sitcom called Ellen and has hosted her long running syndicated TV talk show, The Ellen DeGeneres Show. Please leave a coment below and please SHARE this video. I must say that this article is very helpful and inspirational. We always should treat our closest and friends with kindness and love because that feeling is priceless. Just like Ellen said, treat people the way you want to be treated and everything will be fine. Thanks a lot for sharing such a motivational post. What an inspirational post. I agreed with this quote of yours’ treating people the way you would be like to be treated. Respect is reciprocal, if you treat people harshly, you would be treated back one day. Thanks the law of Karma. Honesty is a very strong entity which serve as a weapon for trust. I have learnt in a hard way never to underrate anyone. The post is educating and inspiring. Gracia!! Glad that you found the post, inspiring and educational. You are quite right that ” Respect is reciprocal “. I also believe in karma. That is quite inspirational, I honestly agree with the quote, sometimes I wonder why it is hard for us to love and accept one another for who we are. Ellen has being an inspiration to so many people, she brings smiles to so many and warm hearts better than some who criticize her. I do not have to agree with all she does but it doesn’t take out from the fact that she is an amazing human being! I am so glad that you enjoyed the content. Helen is indeed an inspiration to so many people. Hi logfires – I love the idea of having a website about inspirational quotes. They can be so uplifting and needed at times. 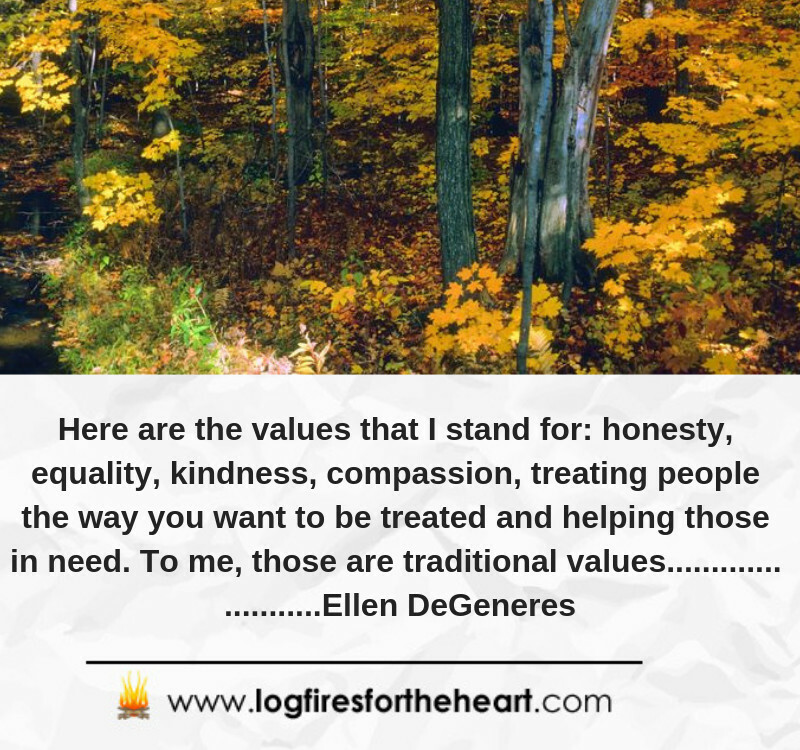 I really like this quote by Ellen DeGeneres. She is someone that I definitely respect and admire. I saw some of your other posts were Top 7 inspirational quotes by various people. Perhaps you need 6 more quotes by Ellen. That would be great. I also love inspirational quotes because they make me feel better and remind me not to give up on life. I rejoice that I came across this site. The world and the news is turning to something else. There are plenty of negative information flying around all day. We need more of this kind of websites everyday. I have bookmarked the page and I will be sharing the kind quotes everyday on facebook and of course credit you. Thank you so much for your kind feedback. It makes all the hard work worthwile. I started the site because of teh apparent crazy times that we are living in. Thank you for haring the content. I agree that one of the best things you can do in the world is treat others as you want to be treated. And it’s actually the second most important commandment in the Bible. So I think if people just practiced this one simple rule, the world would be a much better and happier place. Also I think Ellen is a funny person, and loved her a dory in finding Nemo. Have you seen that movie, and if so did you like it? I loved the film Nero, because it made me feel good. I actually didn’t realize that Helen starred in the film. I hear that around march shes gonna be here in Salt Lake city with Obama, on Salt Palace I can’t wait to attend the event. Maybe it is her or I am confusing her with Oprah, we gonna be in there showing people how to self-defense its gonna be rad. But regardless they are similar kind of people who motivate and bring people together.